Several Native American cultures made their homes in the scenic canyons here. This includes the Folsom culture more than 10,000 years ago. Paleolithic hunters, associated with the Plainview culture, lived here from 9,000 to 8,000 years ago. Only slight traces of these people have been found. Hunting and gathering cultures emerged as the climate became drier. They dined on smaller animals and plants. The Archaic period lasted from 8,000 to 2,000 years ago. Artifacts from this period include boiling pebbles for heating food, grinding stones for processing seeds, oval knives, and corner-notched or indented dart points. Arrow points and pottery appeared during the Neo-Indian state. In the latter part of this period, 800 years ago until the Spaniards arrived, groups established permanent settlements and grew some crops. They traded Alibates flint for pottery, turquoise and obsidian from the Puebloan groups to the west. Spanish explorer Francisco Vázquez de Coronado crossed these plains in 1541. Spanish colonies in New Mexico appeared around 1600. Trade between Plains Indians and New Mexicans gradually grew. The Plains Apache, present when Coronado arrived, acquired horses and became good buffalo hunters. The Comanche arrived in the early 1700s, displacing the Apache. They dominated northwestern Texas until finally subdued in the 1870s. Trade prospered during the Comanche reign. 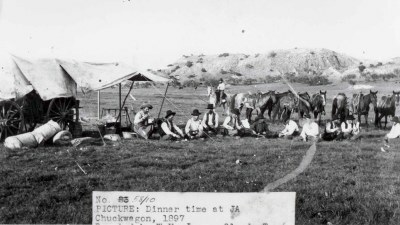 New Mexican buffalo hunters (ciboleros), and traders (Comancheros) visited often. Las Lenguas Creek, a few miles south of the park, was a major trade area. A site on Quitaque Creek has produced artifacts from what may have been a cibolero camp. Anglos arrived after 1874. Settlers organized counties and established ranches. 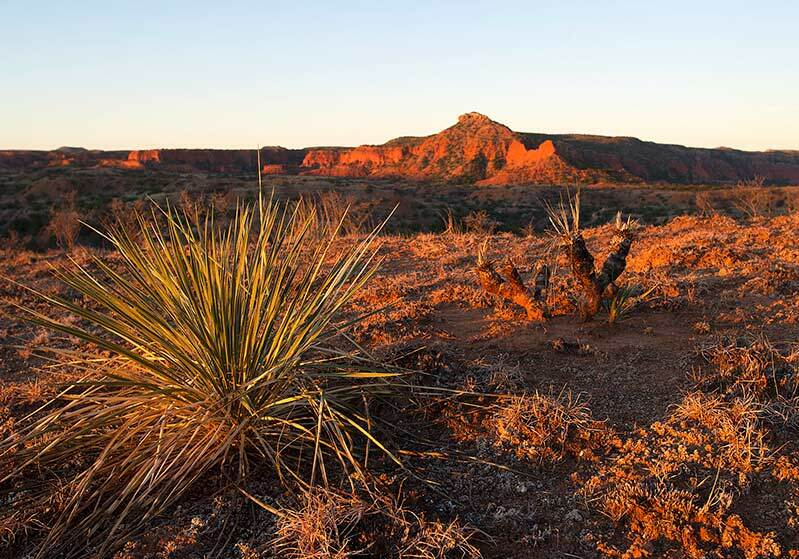 Famed cattleman Charles Goodnight moved cattle into Palo Duro Canyon in 1876. In 1882, he bought vast areas of land for John G. Adair. This land became the noted J. A. Ranch. The current park land was part of the purchase. The railroad extended into this area in 1887. By 1890, the town of Quitaque, population 30, was a regular stage stop. More settlers arrived in the early 1900s seeking suitable farm land. Most of the broken country, however, remained ranch land. Most of the land that lies within park passed through the hands of several owners after Adair. Theo Geisler purchased the land in 1936. He died on Aug. 15, 1969. The state purchased the land in 1975, and named the park's Lake Theo after Geisler. 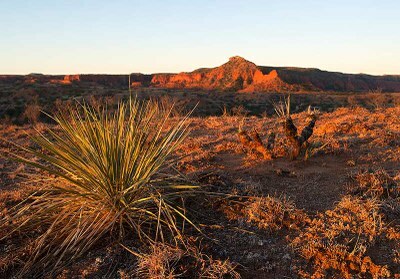 Caprock Canyons State Park opened in 1982. It is 100 miles southeast of Amarillo in Briscoe County. The park has 15,313.6 acres, including the 1,217-acre Trailway.